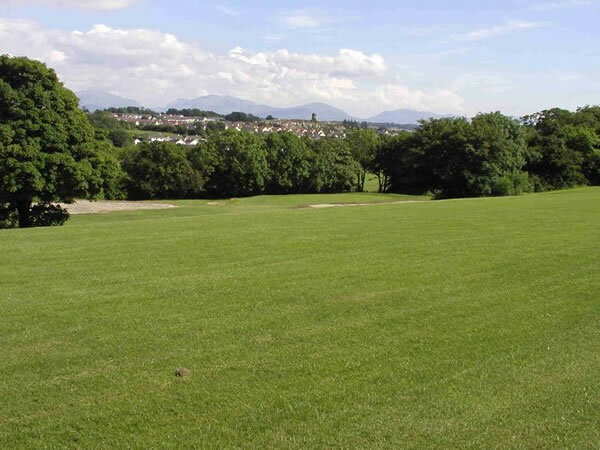 Situated in Anglesey, North Wales, Llangefni Footgolf at Llangefni Golf Course offers a perfect venue to enjoy the new and trendsetting sport of Footgolf. Llangefni Footgolf is part of the golf course and pre-booking is highly recommended, indeed essential in winter. This is a beautiful family-friendly course that was established originally in 1984, and is played over 9 holes making it a perfect length of about an hour for a game. The opening times vary throughout the week: the course opens daily from 10am, but best check closing times, especially in winter. Anglesey is fortunate to have this floodlit contender on the Footgolf scene. So grab some friends and come and give this new course a try. If you’re looking for more to do onsite, then make use of the driving range for some golf practice.